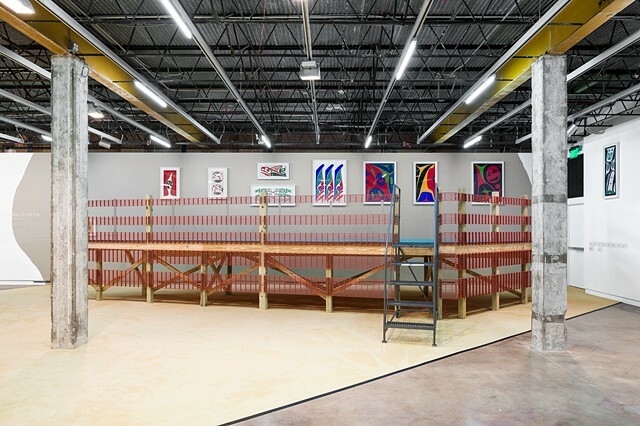 This exhibition is organized by Julia V. Hendrickson, Associate Curator, The Contemporary Austin. Text is also by Hendrickson. 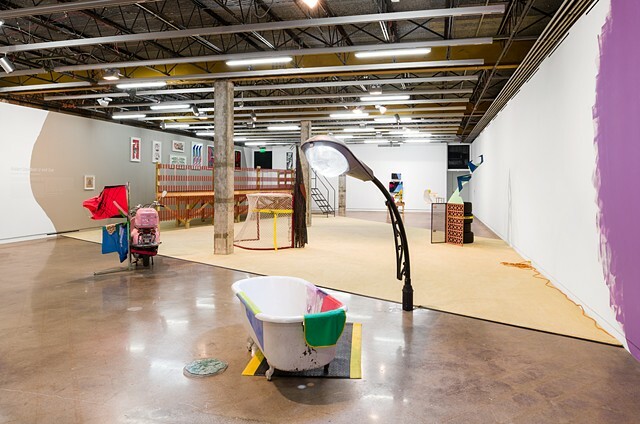 This exhibition of the work of Chicago-based artist Jessica Stockholder (American-Canadian, born 1959 in Seattle, Washington, and raised in Vancouver, British Columbia) will span both of The Contemporary Austin’s venues. At the entryway to Laguna Gloria, Stockholder has created a new outdoor sculpture commission, Save on select landscape & outdoor lighting: Song to mind uncouples, 2019, which will be on view in late 2018. 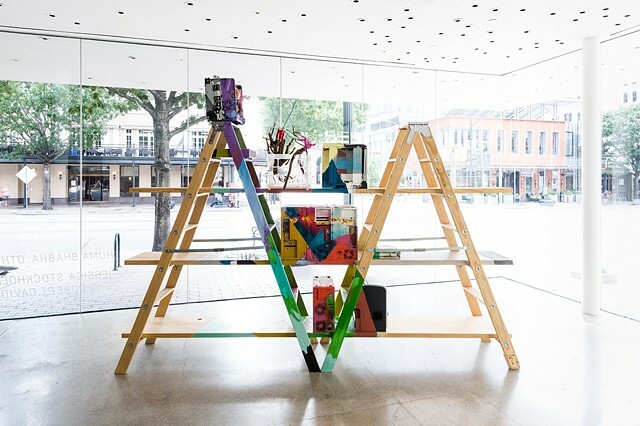 While Stockholder’s visuals are often abstract, her use of text and language is specific, playful, and lyrical. 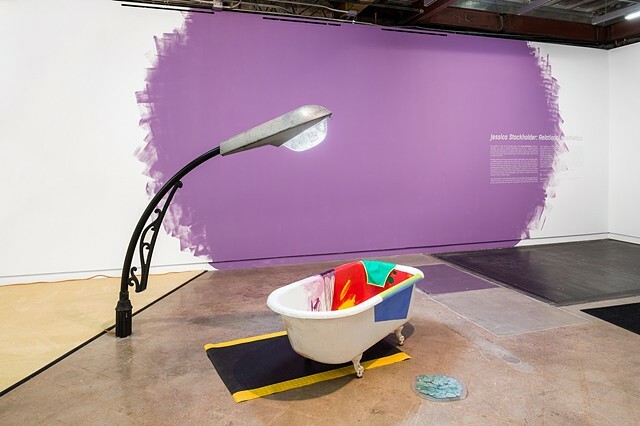 In her artwork titles there is often a disconnect between the object you see, and the words you read; this is apparent in the work titled A Freezer, 2015, which includes a porcelain bathtub and street lamp. 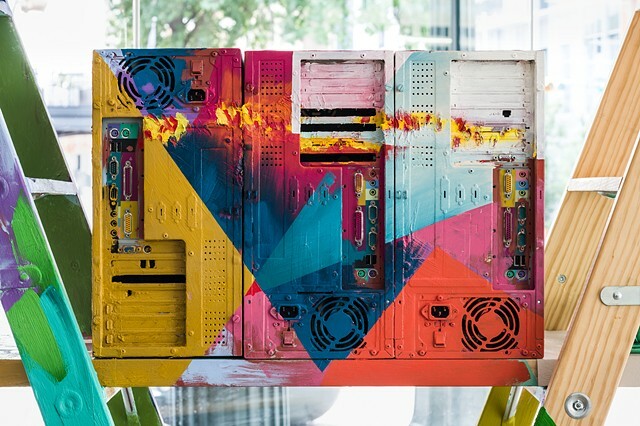 Poetic titles such as Rounding the Corner, 2018, and Why Clouds are Woven into Bed Linens, 2018, can be launchpads for an inquisitive, imaginative mind. 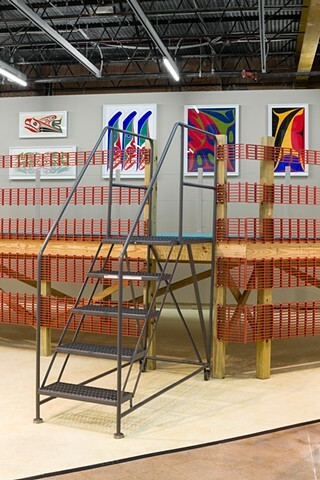 The title of Poles Apart, 2017, a vertical pairing of utilitarian shelving and expressive color, references the painted totem poles of First Nations peoples dotting the landscape of the Pacific Northwest of Stockholder’s childhood. 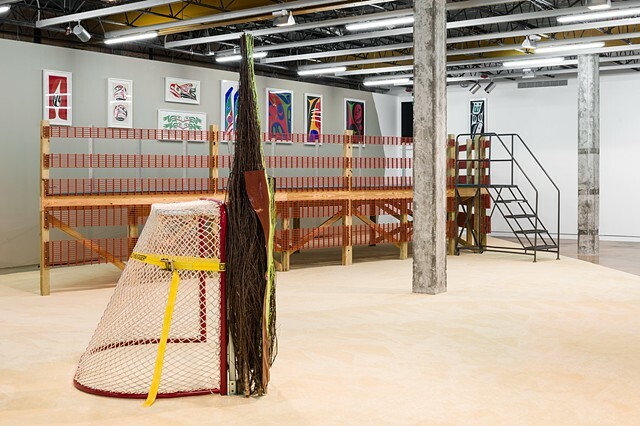 Although the exhibition’s title, Relational Aesthetics, reiterates the label given by French critic and curator Nicolas Bourriaud to an influx of social and interactive art from the 1990s, Stockholder reclaims this now-oversaturated term. 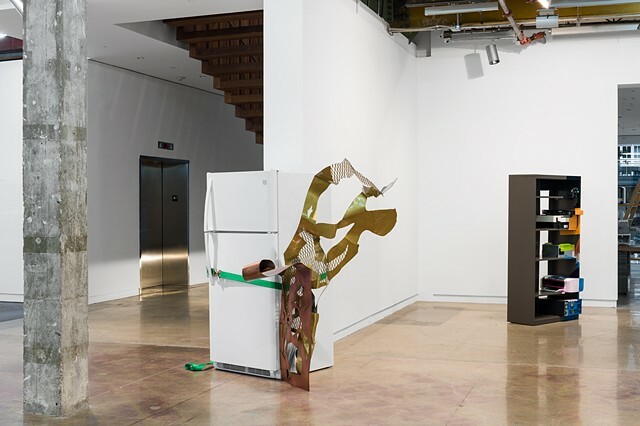 Here she refers to the ways in which both built landscape and objects control or mediate our interactions. 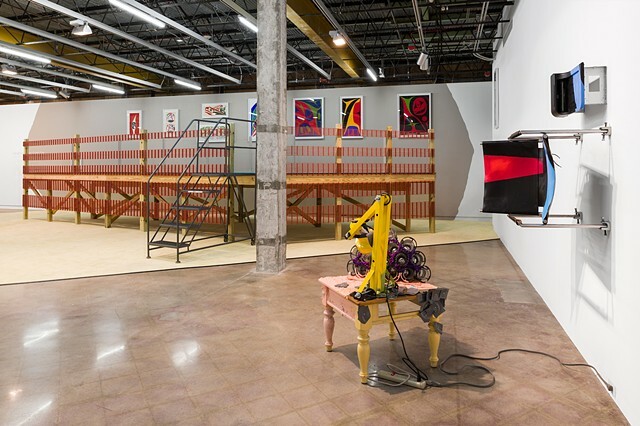 She celebrates how relationships—between things, or even between artists—generate meaning. 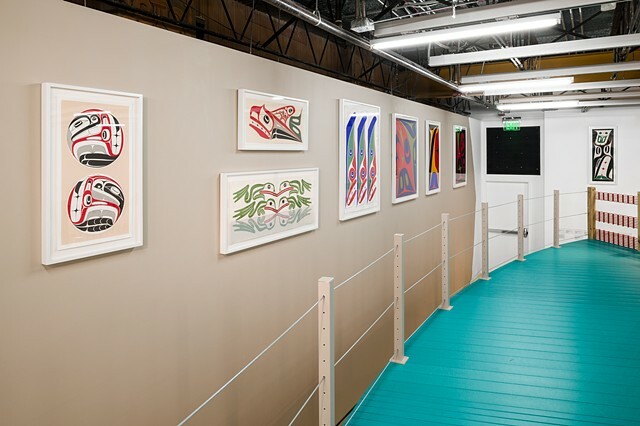 In this spirit, Stockholder has invited the renowned First Nations sculptor, painter, and printmaker Robert Davidson to exhibit a selection of works on paper. August, Laura. 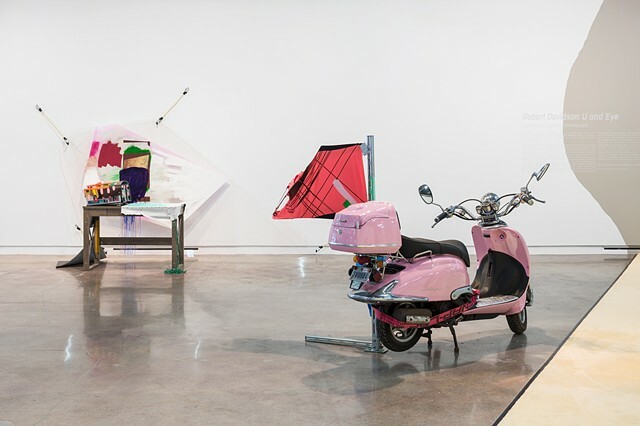 “Review: Jessica Stockholder, Relational Aesthetics and Robert Davidson, U and Eye at The Contemporary Austin.” Arts and Culture Texas Magazine. November 1, 2018. Ryckman, Tatiana. 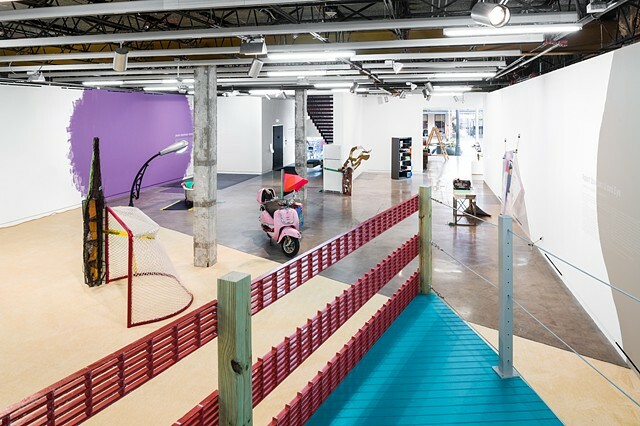 “Props, Assists and Situations: Jessica Stockholder at The Contemporary Austin.” Glasstire. October 6, 2018.